Do you read the Bible like an unbeliever? "Jehovah's grace is sufficient," writes Stephen Pyle, "but mankind remains with a God given free will to choose eternal life or death. We retain our salvation through faith, and free will, as we did to receive it." 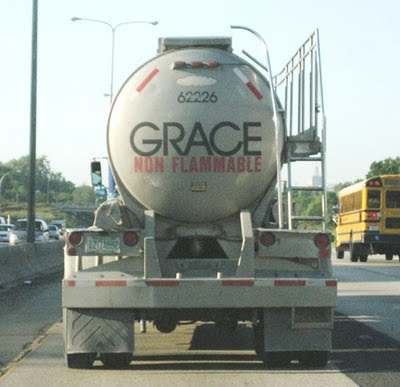 So, what exactly is the meaning of "sufficient" if we are able to use our free will to thwart God's grace? The Sheologians finally talk about Calvinism. According to an article in the Sidney Herald, our nation's cultural decline coincides with our abandonment of Calvinism: "That journey to error began by watering down the Gospel and embracing a person-centered rather than God-centered religion." The 50%-off sale at Christian Audio ends today!